Where does the Ocicat come from? The Ocicat got its name when the breeder was reminded of its likeness to the Ocelot and gave it the similar name. 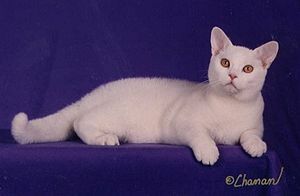 Its also been compared with the Egyptian Mau and Spotted Tabby Oriental. 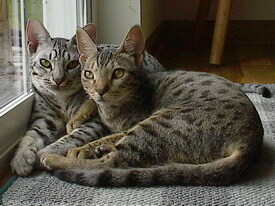 The Ocicat was produced initially by crossing a chocolate point Siamese with a half Abyssinian and half Siamese female. Later American Shorthairs were introduced to improve the breed. What does the Ocicat look like? The Ocicat is a large, muscular cat. 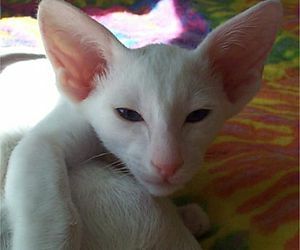 Ears are large and pointed. 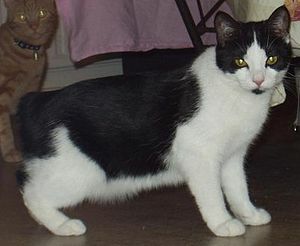 The tail is long and tapering. The coat is short, thick and shiny. Coat color is mainly tawny with black or brown spots. Other colors are silver with black dots, blue with slate blue dots, golden with cinnamon dots, chocolate with dull chocolate dots, sienna with beige or ecru dots and lavender with dark lavender dots. Eyes are copper, green, yellow&nbsp;, hazel or blue-green. Does the Ocicat make a good pet? Although they look wild, the Ocicat has a gentle temperament. It is a very active cat, can be trained to walk on a leash and perform other behaviors that dogs do. The Ocicat is very friendly and people-oriented, not at all shy.&nbsp; They crave attention and are devoted to their families. Where can I adopt an Ocicat? The www.ocicatrescueme.org/ is a good place to start looking for adoptable Ocicats. Any of the purebred rescue organizations online can be of help.